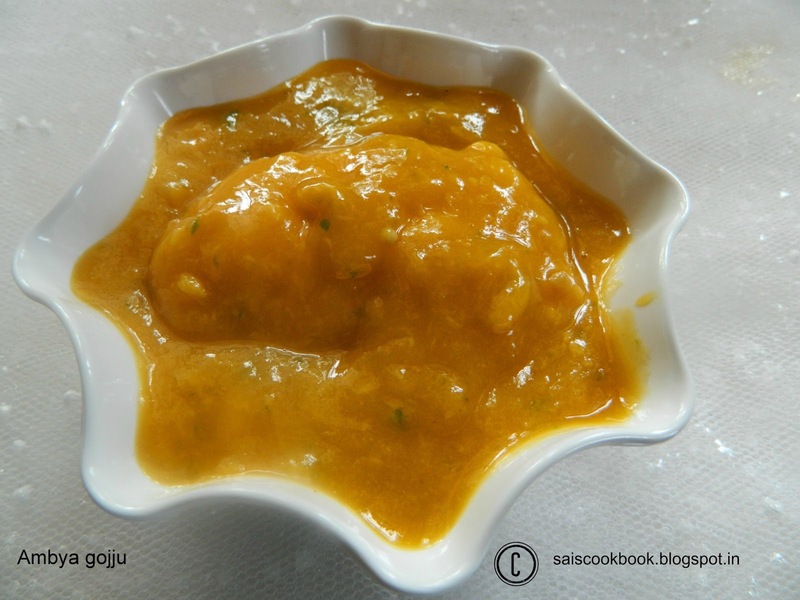 Ambya gojju is a famous dish of the GSB’s.I borrowed this recipe from my Mamama(maternal granny).The star of this dish is Mango.This is a sweet,tangy and spicy gojju and a very simple preparation. Mamama used to enjoy her main course only with this gojju as she was a die hard Mango lover.Until her last breath she was in my Mama’s house which was only a few miles from our place and I used to visit whenever I wished and I still do.One fine day as usual when I visited mama’s house to meet my Mamama and family I tasted this gojju which my mayi(aunty) had prepared and loved it so much that I prepared it at my place the same day.My hubby dear too loved it and now I prepare this dish specially for his sake.Thanks a lot Mamama for giving us treasured recipes. Wash the mango and peel it. Add minced green chillies,salt and jaggery,use a spatula and mix it. I added the Mango seed in the gojju since we love to relish it in the gojju. 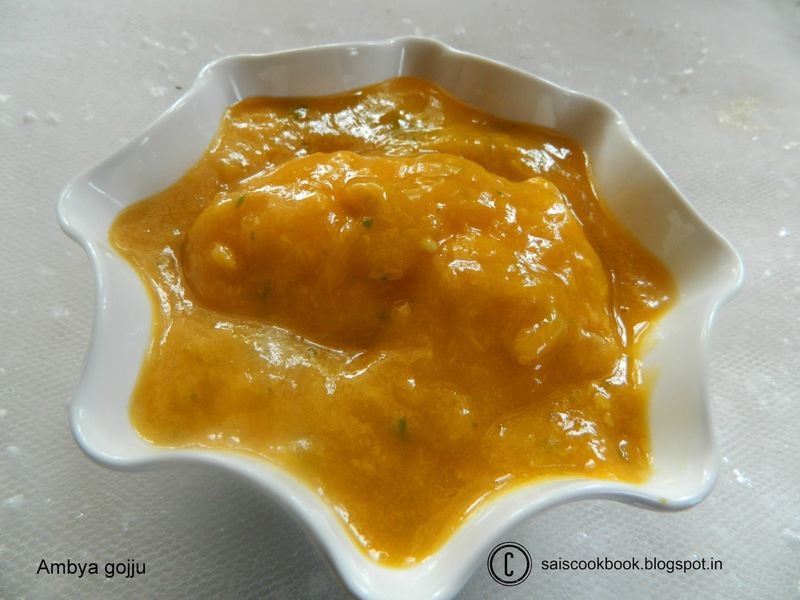 You may also add water(1/4 cup approx) to the mango skin,squeeze and add it to the gojju. Relish it with the main course.